Within Security Executive Agent Directive 4 (SEAD 4), Guideline K of the Adjudicative Guidelines governs security clearance issues involving handling protected information. 33. The Concern. Deliberate or negligent failure to comply with rules and regulations for handling protected information—which includes classified and other sensitive government information, and proprietary information—raises doubt about an individual’s trustworthiness, judgment, reliability, or willingness and ability to safeguard such information, and is a serious security concern. While there are too many examples of federal employees or government contractors mishandling protected information, a few examples include: unauthorized removal of protected information, unauthorized copying of protected information, or viewing protected information beyond one’s authority, among other issues. Regardless of the alleged misconduct, we try to advise clients with these types of issues accordingly to give them the best chance of obtaining or maintaining their security clearance. In our security clearance practice, we often represent and advise individuals regarding their alleged mishandling of protected information, which arise in the course and scope of holding or seeking to obtain a security clearance. Typically, if an issue is under review, mitigation can require the individual to demonstrate that the condition does not remain a significant security concern in holding a security clearance. Regardless, for cases involving these types of concerns, there are conditions that could mitigate the concerns. (d) the violation was inadvertent, it was promptly reported, there is no evidence of compromise, and it does not suggest a pattern. The following are examples of potential mitigation arguments that can be made in security clearance cases involving allegations that a security clearance holder or applicant mishandled protected information, depending on the specific facts at issue. 3. Evidence that shows that the individual reported the behavior immediately after it occurred. Clearance holder loses a thumb drive with sensitive or classified information on it and cannot locate it. 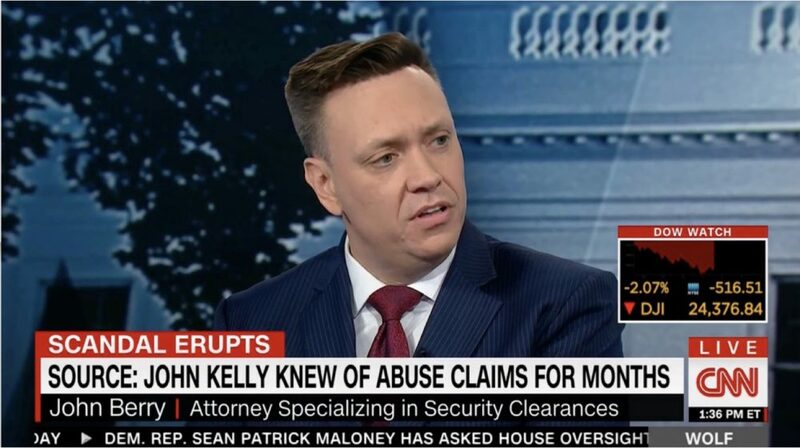 There are too many examples to list here, however, the general issue is the loss of protection of classified or even sensitive information by a security clearance holder. 4. ISCR Case No. 17-00796 (Apr. 2018) (Applicant was found culpable by his employer of 5 separate security violations between November 2009 and November 2015, including a violation where he drafted an email containing classified information on an unclassified computer system. The administrative judge found that he had made some changes to minimize the risk of recurrence, but some doubts persisted about his ability and willingness to comply with security regulations. Clearance was denied.). As demonstrated from these case examples, every security clearance matter involving Guideline K varies, but we have found that many cases can potentially be mitigated with the proper attention and the preparation of documentation, showing that the alleged misconduct was infrequent, does not cast doubt on the individual’s current reliability, judgment, or trustworthiness, and that the individual has completed proper training and treatment to avoid any potential future misconduct. If a federal employee or a government contractor needs a security clearance lawyer for security clearance issues involving the handling of protected information, it is important to do so early in the process. Our law firm advises individuals in the security clearance process. We can be contacted at www.berrylegal.com or by telephone at (703) 668-0070. Additionally, our Facebook page is located here and our Twitter account is located here. This entry was posted in Classified Information, General Security Clearance, Uncategorized and tagged Classified Information, contractor, Handling Protected Information, Security clearance, Security clearance appeal, security clearance attorney, security clearance lawyer, thumb drive by berrylegal. Bookmark the permalink.